The Epitaph of Gllavenica dates back to the distant year of 1373. 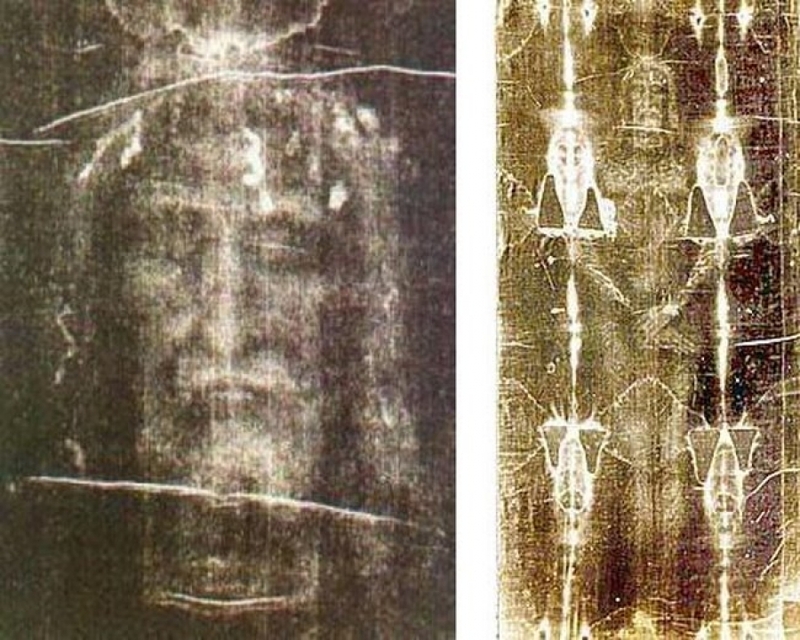 This masterpiece is Albania’s own version of the Shroud of Turin, though more ornate and intricate in nature than the famous shroud. The Epitaph’s name, given by the scholar Theofan Popa, is based on the ecclesiastical title of Bishop Kalist of Gllavenica and Berat. The epitaph once belonged to the church of Gllavenica, today the town of Ballsh. 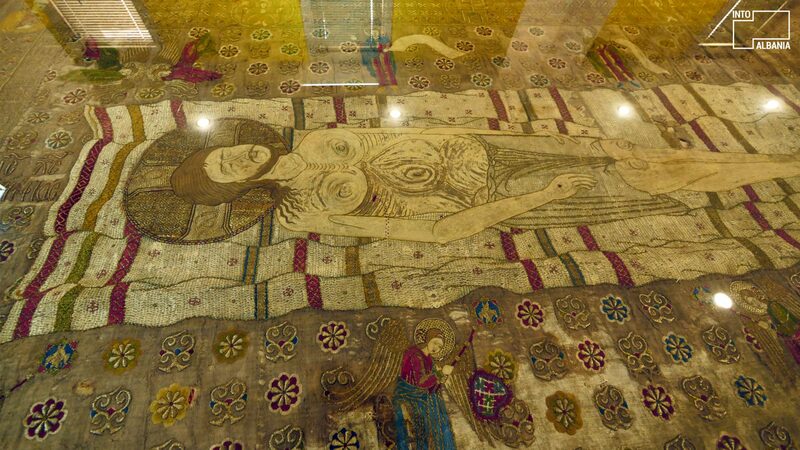 A cellar of a ruined home near the small town had been hiding this masterpiece for centuries! 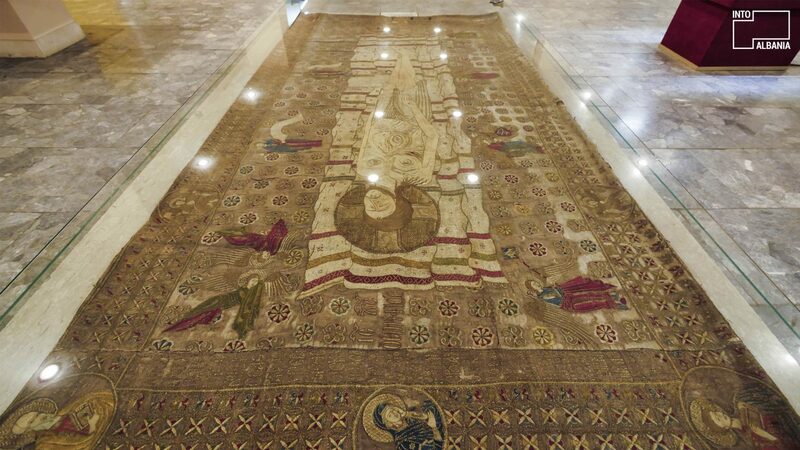 Embroidered on silky fabric, the epitaph’s length is that of an ordinary tomb, at 212 cm, and its width is 114 cm. The central figure of the epitaph is Christ lying in his grave. The space surrounding him displays several angelic figures, embellished by gold and silk flowers. The monk Savia is the one who added silver and gold embellishments at the request of Gjergj Arianiti. However, the first time that Savia embroidered the fabric was in 1373, for the Church of Gllavenica. For years, this beautiful work of art sat in a house in Ballsh. Later, the Cathedral of the Sleeping St. Mary, inside the Berat Castle, stored the epitaph. 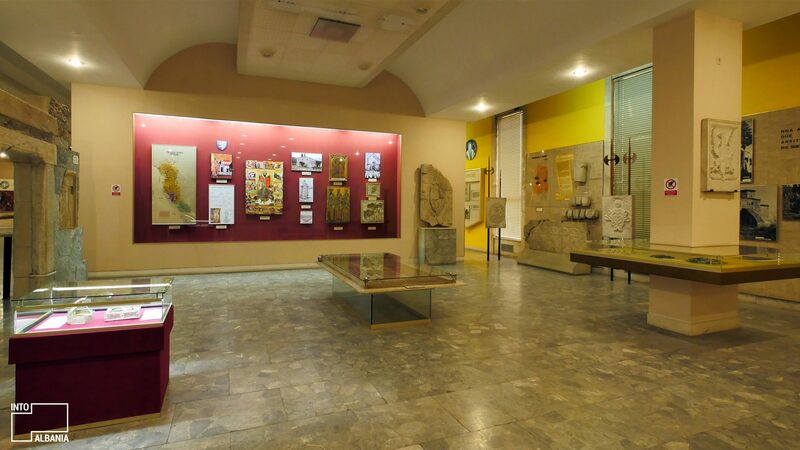 Finally, in 1981, due to its significance, it was permanently placed in the National Museum of History in Tiranë.